Neutral with a hint of warmth on top. Parsec Interconnect is a very transparent for a cable of this price range. It has an excellent blend of warm midrange with extended bass and treble. 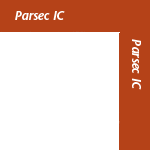 Parsec offers greater transarency and improved imaging over Iridium. 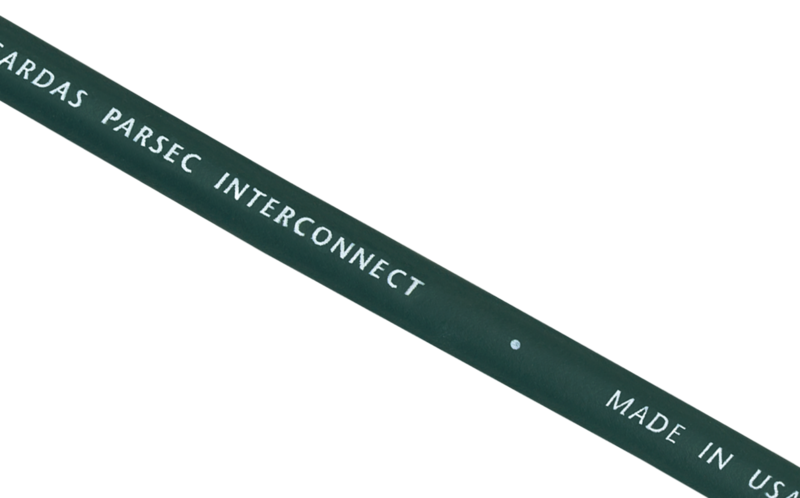 Parsec benefits from the technology originally developed for our flagship Clear cables: Matched Propagation Conductors. These ultra-pure copper, Kevlar core conductors, for which George Cardas received US Patent 7,674,973 in 2010, make possible the transparency, dynamics and holographic imaging of Clear. George Cardas specifically designed a version of this conductor for Parsec Interconnect. And in fact, Parsec marks the first time any cable outside of the Clear range has employed Matched Propagation Conductors. 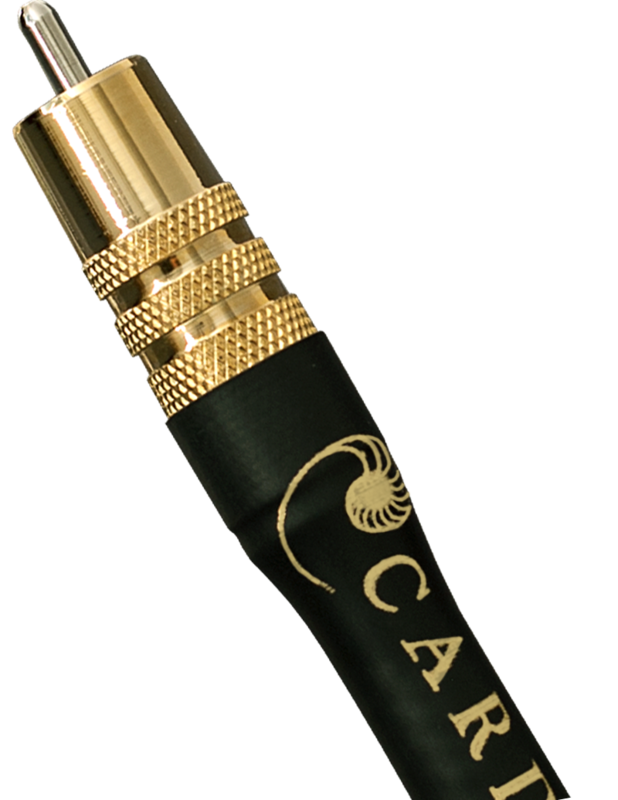 However, in addition to sharing some of the sonic characteristics offered by our flagship cables, Parsec still has the warmth & musicality that made it’s predecessor, Quadlink, a top seller for nearly 30 years. 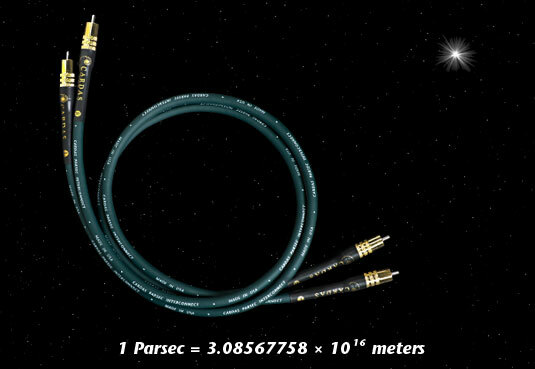 Internally, Parsec is comprised of a Shielded twisted pair of 23.5 AWG Matched Propagation Conductors with poly-e air-tubes bound and carbon impregnated FEP tape wrap. The outer layer uses compressed poly-e air-tubes to suspend the tin plated copper braided shield and outer extruded Alcryn rubber jacket. .370" O.D., Cardas copper, Semi-conductive air-tube, 2 x 25.5 AWG Parsec conductors, Matched Propagation, Golden section, litz, braided shield Alcryn jacket. Parsec Interconnect is terminated with Cardas GRMO RCA connectors or Neutrik XLR plugs.